Making models after everything involved with the military, such as tanks, soldiers, weapons, battles, and famous scenes in military with an accurate representation of the real life figures is an extremely difficult thing to do. Buy a single copy or subscription to Model Military International magazine. These models often take keen precision, an eye for the smallest details, and an incredibly steady hand, while at the same time it might be hard to find the inspiration you need to recreate some of the fascinating scenes. However, with a copy you are given an exclusive look at the entire world of military modelling. 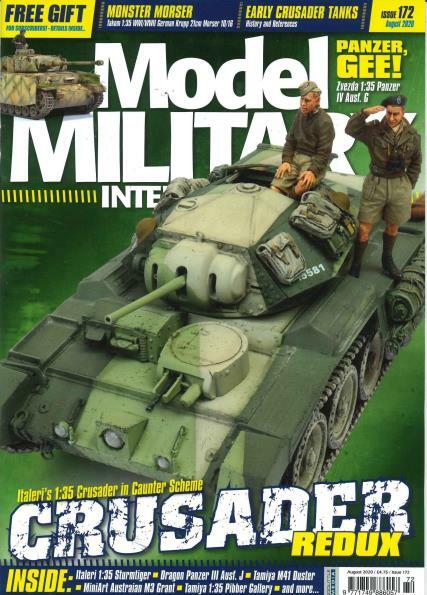 Whether you have created several models in the past and you want to move into military modelling, or if you just want a publication that is specifically created with you and your hobby in mind, then this magazine has everything that you would ever need. From quality articles that showcase the talented modellers across the world and their beautifully intricate models to expert guides and advice, Model Military International is your one stop guide for improving your modelling skill and giving you the motivation to expand your modelling experience. Each issue contains excerpts of modelling stories, tips, and professional techniques that the best modellers from around the world use in their own skill.